At Playscape Creations, we thrive on a culture of partnership with like minded organisations. Alliances within the industry not only ensure we are in touch with the latest design philosophies but offer us an opportunity to be involved in change as we incorporate this learning into recreational space and urban design – change that results in improving the well-being of our communities through the provision of better recreational spaces. 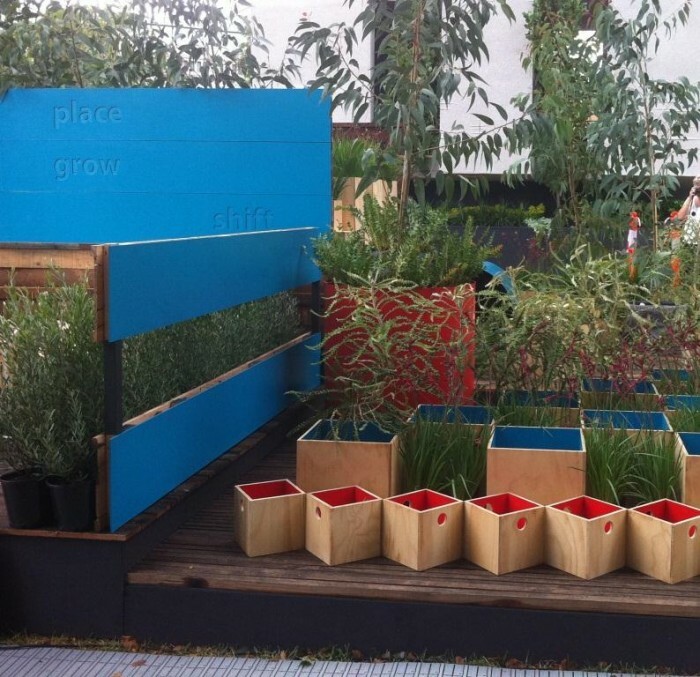 We recently assisted members of AILDM at the Melbourne International Flower and Garden Show and were thrilled to be involved in their “place.grow.shift” display – an innovative notion of creating various designs from the same components, allowing the shapes to work together to create completely new and different displays. Complete sustainably – nothing left over – everything re-utilised! You can read more about the display and concept here ……..